KNIME Sentiment analysis with deep learning, machine learning or lexicon based? You choose! Abstract: Do you want to know what your customers, users, contacts, or relatives really think? Find out by building your own sentiment analysis application. In this workshop you will build a sentiment analysis application, step by step, using KNIME Analytics Platform. After an introduction to the most common techniques used for sentiment analysis and text mining we will work in three groups, each one focusing on a different technique. Bio: Rosaria Silipo has been mining data, big and small, since her master degree in 1992. She kept mining data throughout all her doctoral program, her postdoctoral program, and most of her following job positions. 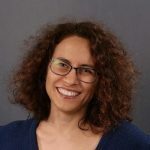 So many years of experience and passion for data analytics, data visualization, data manipulation, reporting, business intelligence, and KNIME tools, naturally led her to become a principal data scientist and an evangelist for data science at KNIME.